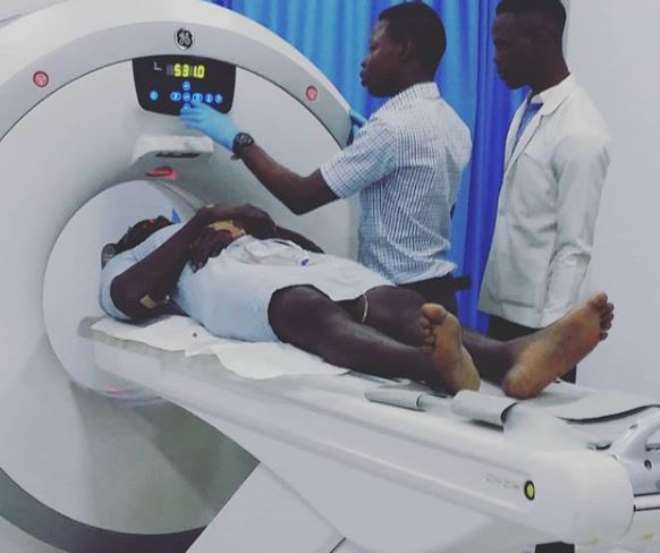 Singer, Djinee has not been having it rosy for some time now as he has been faced with some challenges he has tried scaling as a human. The worst recently happened some days back where he was involved in a fatal accident that almost claimed his life as he only woke up to find himself in the hospital. Sharing his testimony after the doctor allowed him access to his phone, he wrote, “Having been through quite a few near-death situations, this horrific car accident has to rank as the closest! To say my survival is a miracle will be putting it mildly. It is God's show of grace and mercy! He put me to sleep through it all so there were no maneuvers, no James Bond stunts nothing! I literally slept and woke up in the hospital. “I want to sincerely thank you for your prayers, and concern. I also want to apologize for being unavailable; the doctor advised that i receive/make fewer visits and calls. The past 8days have seen me go from one crisis to another owing to the injuries (both internal and external) that I sustained, but I offer all these painful moments to God as so many acts of love. By his Grace, I am out of the critical phase.